Following a disappointing season personally for Daniel Ricciardo, the Australian is hoping to get back to his best for the start of the 2019 Formula 1 season so that he can catalyse "positive energy" within his new Renault team after making the move from Red Bull. Ricciardo decided to switch teams after reportedly becoming unsettled at Red Bull, with Renault taking advantage to pull off the coup of acquiring his signature. 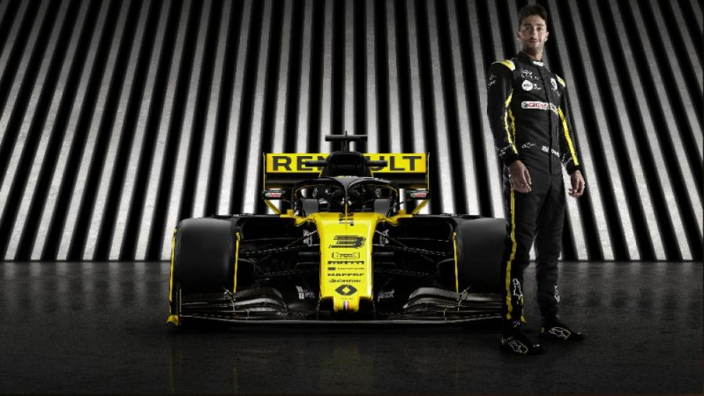 On Tuesday, Renault revealed their 2019 challenger vehicle, the R.S 19, and Ricciardo is hoping he can bring his positive attitude to the team to hopefully bring success with the new car. "Renault has a massive history in motorsport, so to be part of the next step of their Formula 1 journey is an exciting challenge,” he said. The 2018 season was a forgetful one for Ricciardo as he suffered from constant engine reliability issues. He is hoping the lack of success last year has made him able to deal with disappointments more maturely. "Everything I learnt in 2018 will make me a better version of myself in 2019,” the Australian continued. “The difference will be a more mature person. I have more clarity of where I’m going and I aim for that to be shown with good results on track. I feel a lot of positive pressure and expectation to do good things, but that’s something I’m looking forward to taking on."